Once there was a roof that had a single shingle, this shingle was sad. 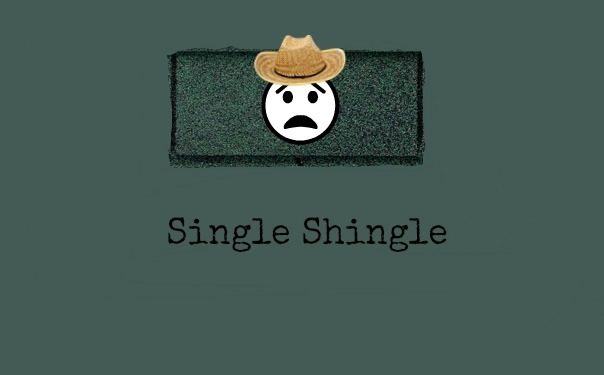 The shingle knew there were a gazillion other shingles, but he was still the one who was single. The single shingle was like a fisherman out at sea, he was as lonely as could be. He laid on the roof cold and wet, at this point, he was as miserable as he could get. As the shingle sat there in the rain, he started to feel the pain. He felt fear and distress, then he realized, a single shingle is loneliness. Keep up the good word Tyler. Our son the surgeon was a writer first! Every child should be encouraged to read and write before they forget how.